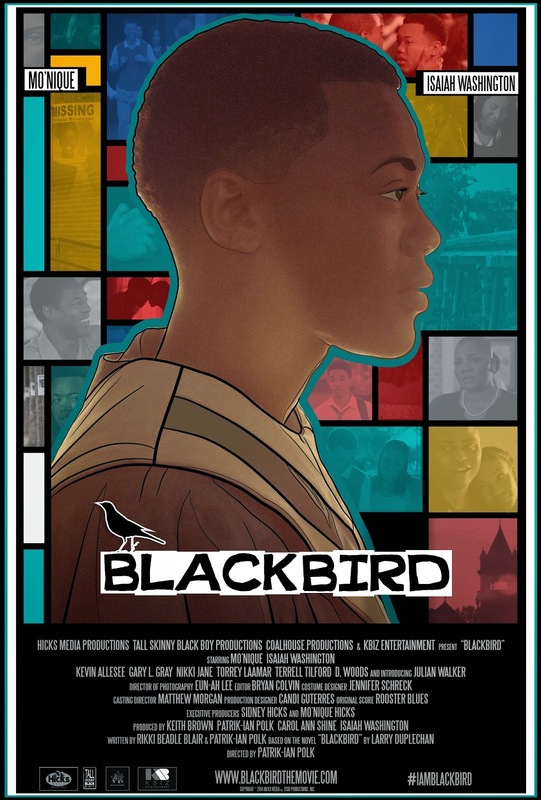 Funnily enough, I was just having a conversation about Mo'Nique and her near disappearance from the spotlight, when I received an email about her latest film BLACKBIRD. Co-starring Isaiah Washington (who's on a role since his comeback performance in last year's Blue Caprice), the Oscar winner plays the churchgoing mother of 17-year old Randy (newcomer Julian Walker) who's coming to age grappling with his sexuality. Washington plays his estranged father in the film. Based on the novel by Larry Duplechan, this film is a powerful coming-of-age story about 17-year-old Randy Rousseau. A devout high school choir boy, Randy is struggling to come to terms with his sexuality in a small, religiously-conservative Mississippi town he calls home. Randy juggles his role as star of the church choir while facing the everyday trials of life as a high school misfit. Complicating matters, his little sister has gone missing and his parents have subsequently split up, leaving him to care for his heartbroken mother, Claire. When Claire discovers the shocking secret her son has been hiding, she blames him for the disappearance of his sister. Randy's father, Lance, who has been keeping a watchful eye on his broken family, steps in to give his son a hand as he struggles to make the difficult transition into manhood. The cast includes Oscar-winner Mo’Nique (“Precious”) and veteran actor Isaiah Washington, fresh off his critically-acclaimed and Gotham Award-nominated performance in “Blue Caprice.” “Blackbird” is Mo’Nique’s return to the screen since grabbing the Oscar for her supporting role for Precious in 2009. The critical success of Pariah has hopefully blown open the doors on similar themes, including those from a male perspective. BLACKBIRD is directed and co-written by Patrik-Ian Polk, and is set to debut at the Pan African Film Festival this weekend. This looks promising. Didn't realize it was finished already! Didn't they just announce the casting just recently?